When I was growing up, adults continuously told me what to do. And as a rebellious teenager, I rejected it, thinking I could do better. The fact is, in hindsight, I had no idea what I was doing. I dropped out of high school at age 16 because I had started a little business selling computers and supporting them. I moved out on my own, well, with a roommate just before age 18. Not making ends meet, I found a new love… the credit card. To me, the first credit card was like “free money”, yet I had no idea that paying it back would be necessary to develop any type of meaningful wealth. By age 19, I was living on credit – and was bankrupt shortly after. This was an easy way out for me, and I didn’t seek the right advice. Unfortunately, through that entire process, I didn’t learn how to manage my money. Society encourages us to spend, and we find creative ways to rationalize the purchases- a new truck “for safety”, or a new TV because it’s “4K or 8K” or a new cell phone because its “waterproof” or whatever, but there’s little out there telling us to save. We all want to be smart with our money, but there’s little help to get us there. I built a successful business in 2004 and eventually sold it. It was like winning the lottery! But since I didn’t learn how to handle the money, I was caught in this financial trap. I spent it faster than a speeding bullet – living like a “Rockstar”. While now it’s clear that back then I could have been financially independent, I just didn’t see it. Realizing that what I had just wasn’t enough, and on the heels of one successful internet business, I started another one, with my partner, in 2007. This business became quite successful. Clients paid us a monthly fee for service – and as long as we took care of the clients, they usually stuck around – and they did! By late 2012 or early 2013, I was starting to make a serious salary. I had also made some successful real estate investments along the way that added to my net worth. Unfortunately, though, my spending wasn’t controlled, so I was always playing “catch up”. One day, I realized that “something has to change”. And at this moment, in early 2013 that I decided to finally take control of my finances. I read as much as I could about personal finance. And this is where things started to change. I put myself on a budget. I started “paying myself first”, an allowance of sorts for my discretionary spending (I.e. shopping, eating out, etc). In no time, I paid down all my credit accounts, developed a substantial monthly surplus, created an emergency fund (There is something very comforting about having 6 months of expenses sitting in a savings account, glaring at you daily), and started investing the remainder of the monthly surplus. At this time in my life, I was starting to travel more. I always loved to explore new destinations, and still do. Travel is a priority in my cash flow plan and is by far the largest consumer of it. But at the end of every month, there’s a surplus. And that money gets invested. The lessons I learned about personal finance gave me the confidence to finally sell my second business. I realized that by selling the business, I could be financially independent and as long as I lived within my means (i.e. spend less than I earn), I could move on to bigger and better things without worrying about getting back into debt. And that’s exactly what I did. Over the five years, I’ve done an awful lot of traveling, met a lot of amazing people, got married, learned a lot about different businesses (Particularly in the Real Estate Industry) that I might be interested in getting involved with. But nothing is more interesting to me than wanting to help others with their own personal finances. So this is where I am today. I wrote a book (Which has become a “Best Seller”) called The Financially Independent Millennial. 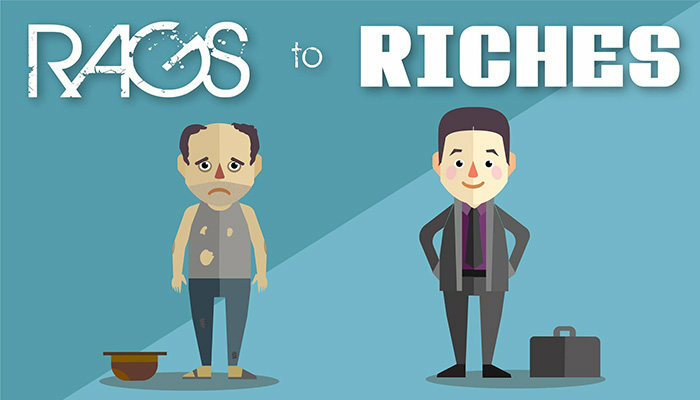 It’s a detailed account of my own “rags to riches” story – complete with the failures and successes. Proceeds from the book support SurplusAcademy.com – a resource created to help folks learn about personal finance and work towards financial independence. Rick Orford is a Personal Finance Expert and The best selling author of The Financially Independent Millennial. He is also the co-founder of SurplusAcademy.com, a community based resource offering sound financial advice.